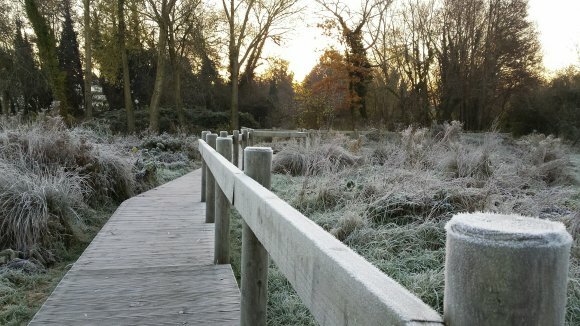 Rackleaze Wetland area, which is a haven for wildlife and situated behind Tesco, has been improved immeasurably by Cam Parish Council's partnership with Stroud Valley Projects. The site is a working wetland that deals with excess water that comes from the Tesco car park. 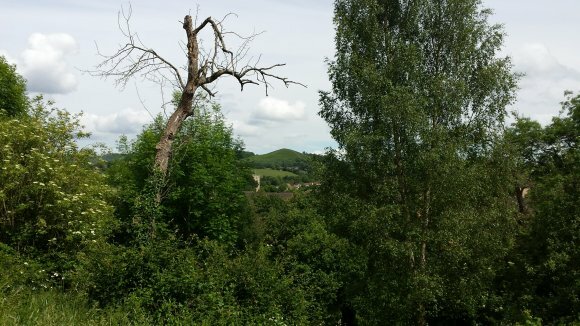 It is an unimproved wet grassland area which Cam Parish Council has leased from Tesco since 2003 and works with Stroud Valley Projects (SVP) to manage the site for the wildlife and community of Cam. SVP continue to manage and improve the site with the addition of a boardwalk in 2014 and hedge laying in 2016. Many people use this site from dog walkers, birders, photographers and families out for a pleasant walk. The Cam Parish Council 'handyman' goes to the site once a week to ensure it is maintained and litter free. We implore you to pick up after you dog every time, so that the area can be enjoyed by everyone including children. Still a hidden secret, it's yours to discover. Contact Jo Lewis for more information. At this site in Cam, we have in partnership with Stroud Valley Projects re-made steps, created a huge compost heap at the back of the police station and surveyed for grasses and wild flowers. We have raked the grass away from the meadows on the site and put them in the compost heap. This is really important because we are delighted to be able to report that a Common spotted orchid was found on the site in addition to the one found in 2011. This makes all the hard work worthwhile.